The House Alexandra Sojfer creates exceptional objects that require a singular expertise. 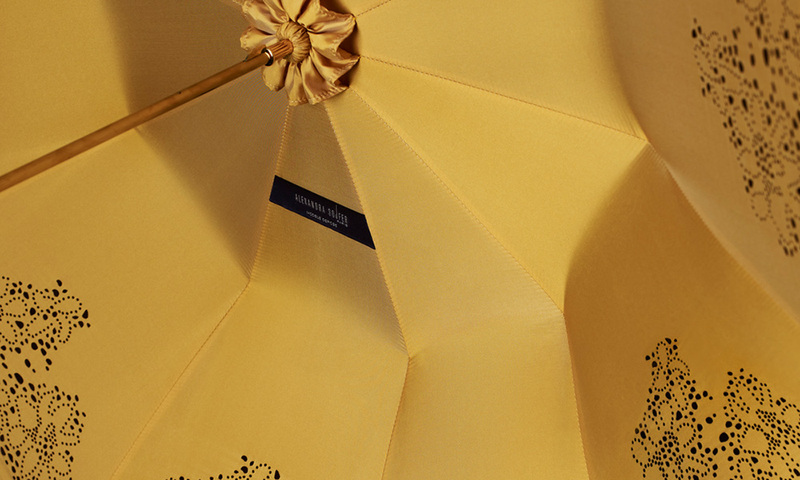 In order to offer the highest quality, umbrellas are hand-made in her in-house workshop. A French craftsmanship is evident in the close consideration of the finest details. From fabrics to umbrella handles, all materials are selected with the greatest care. Each model is then sewn, piece by piece, regardless of whether it is part of a series, or one of the unique, numbered pieces. A rare artistry and heritage put the Alexandra Sojfer house in the great tradition of French luxury.